Speaking of Chicken Rice, Hopscotch has got one for you. The cheekily named bar “Hopscotch” is a pun on “hops” for beer and “scotch” for whisky. Equally cheeky are their unconventional alcoholic beverages, inspired by local flavours such as Hainanese Chicken Rice, Cereal Prawns, and Assam Laksa. 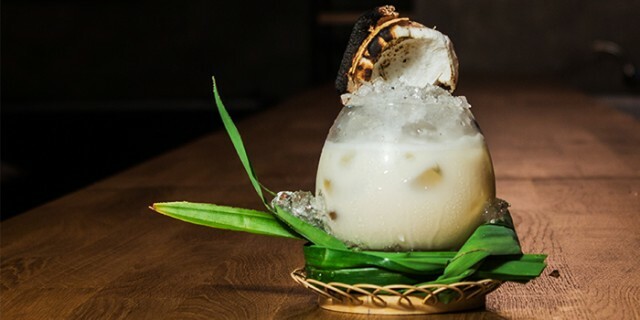 If you have more of a sweet tooth, try their kaya-inspired cocktail or Ondeh Ondeh shots. Receive the latest updates about Hopscotch, any upcoming events pertaining Hopscotch, and also read past publications about Hopscotch. Attended one of our previous parties? Find your photos here!